Recently, I have been working behind closed shed doors. In my lab I’ve been researching, plotting, scheming; working out wind temperature, sun position, gravitational pull. I had a vision; something had been missing from Agents of Field HQ. But not any more. I decided enough was enough, never again would I traipse down the garden path in the dead of night in search of dill, with the wind blowing about me and the snow up to my waist. Searching, looking, hoping. The blueprint was drawn up, the materials acquired, it was time to build! We live in a house with a north facing garden. Unfortunately, there’s a lot of shadow near the back of the house, although I’ve managed to create a flower scheme that can happily cope with it. 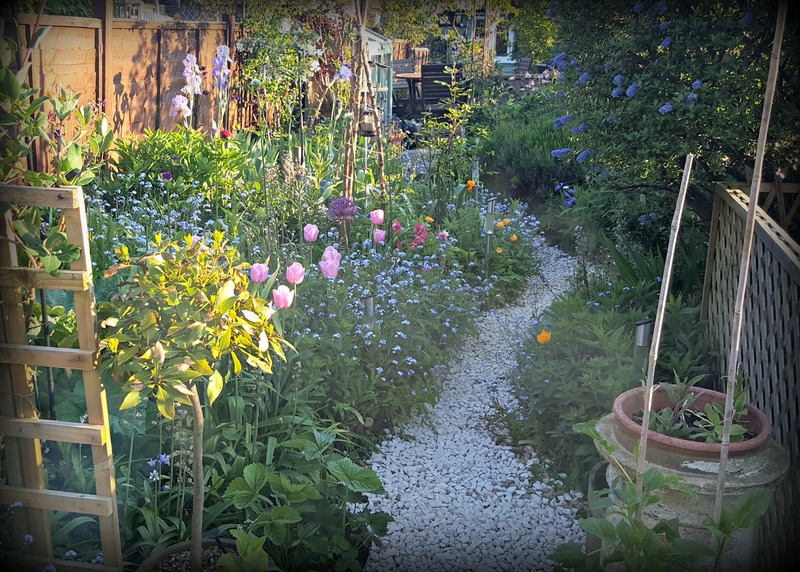 However, when we first moved into the house we were young, crazy, naive and our early planting was reckless, without a thought to practicality; we planted all our herbs way down near the bottom of the garden where they would get the sunlight but were miles away from the kitchen. A few years on, a little older and a little wiser, it made perfect sense to grow our herbs near the back door; we didn’t want to be caught short when we needed a sprig of rosemary for that leg of lamb! 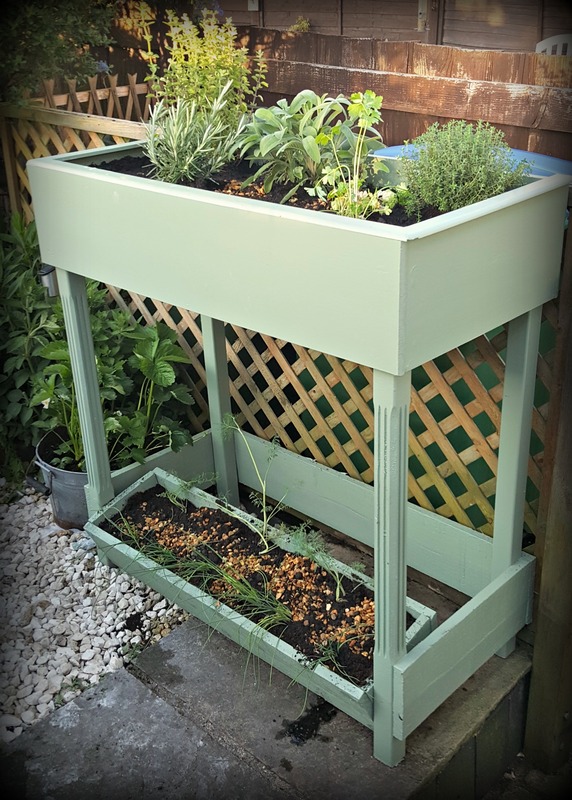 So to solve the shadow dilemma, I came up with the plan to build a herb trough, knowing that if I built it tall enough, it would benefit from a spot which catches the sun from dawn ’til dusk. Perfect. I always have plenty of wood in the shed, and I still had several stair spindles left over from when I built our stairs during the house renovations several years ago. These formed the legs. Once it was built, painted and placed in position, I put a layer of stones in the base for drainage, then I filled it with a combination of topsoil, compost and shingle. Most herbs need good drainage and heat. You want to create the Mediterranean conditions a lot of herbs need. I then planted the herbs I have been growing since last year; rosemary, sage, parsley, oregano and thyme. 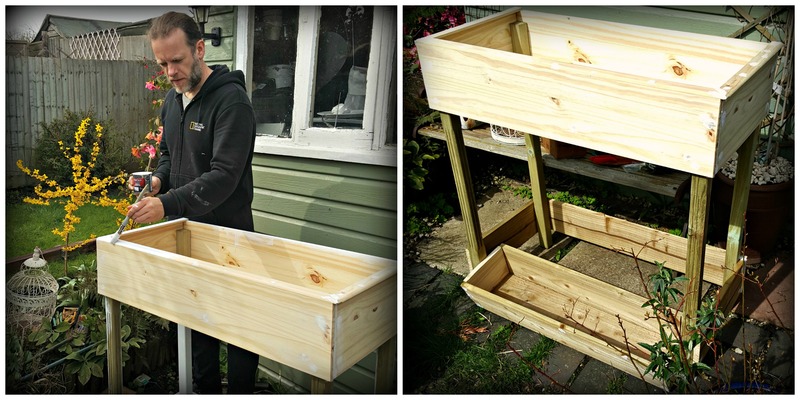 At the base of the trough, I also built a second (smaller) trough, and in that I placed the tall herbs; chives and dill. With a bit of sanding and a lick of paint, it doesn’t look half bad, even if I do say so myself. As Doc Brown from Back to the Future once said, ‘If you put your mind to it, you can accomplish anything’. Very nice! Now, if you could only invent Mr. Fusion. Very clever and very nice! Congrats. 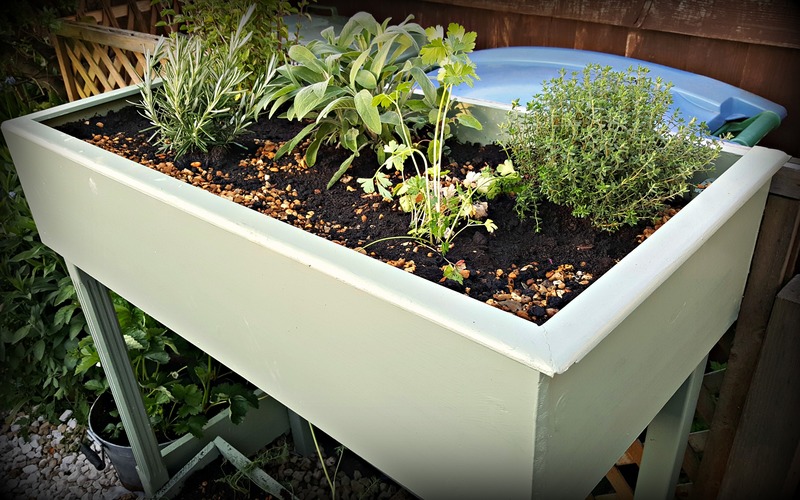 What a gorgeous garden and what a very pretty herb trough.